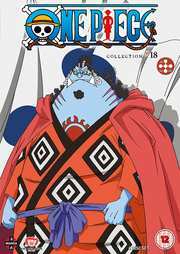 It took a good while, but Manga Entertainment have picked up the One Piece releases again, and this 18th Collection follows the 17th in useful short order. Hopefully that’s a sign that Manga will also bring us Film Gold as well, as we’ve fallen behind on the movie front as well. Speaking of movies, this is also a rare collection of episodes that contains some filler, the Little East Blue Arc. It’s an anime original stretch of four episodes which serve as a prequel to the 10th One Piece movie, Strong World, coincidentally the first One Piece feature film that Manga Entertainment released in the UK, back in 2014. 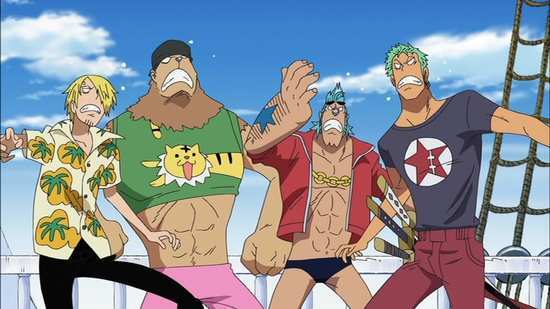 Previously on One Piece, the Straw Hat Pirates finally caught some trouble that they couldn’t handle, when Luffy punched the wrong guy on the Sabaody Archipelago, and the Navy arrived in force, bringing out their big guns. 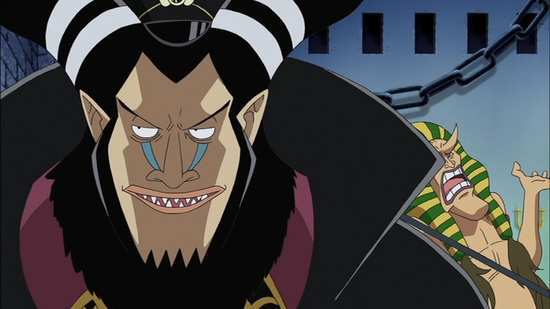 Then it got even worse when Bartholomew Kuma showed up, the real Bartholomew Kuma, and used his powers to send the Straw Hats flying to all four corners of the world, separated and lost. 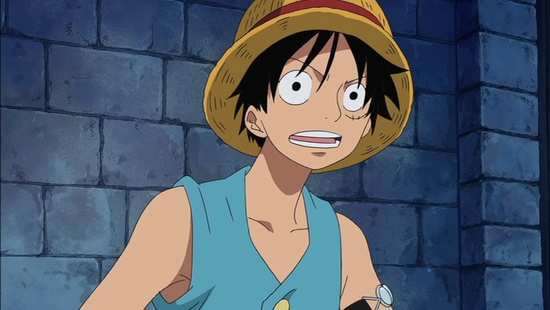 Luffy wound up on Amazon Lily, a solitary man on an island populated by women, but somehow got the queen, Boa Hancock to fall for him. 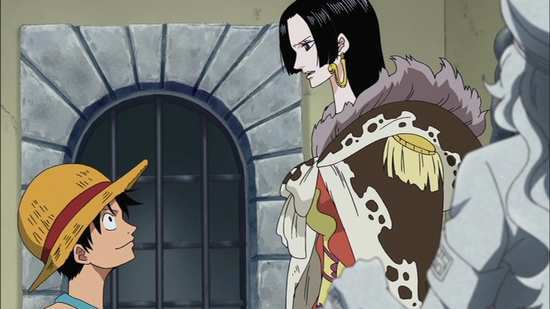 She’s now helping him sneak into the impregnable prison Impel Down, as Luffy has learned that his brother, Portgas D. Ace is a prisoner there and about to be executed. 24 episodes of One Piece are presented across 4 DVD discs from Manga Entertainment. 433. 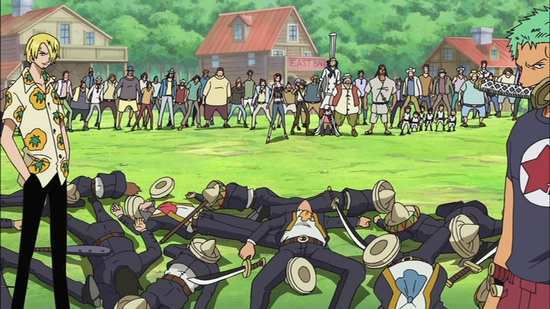 Warden Magellan’s Strategy – Straw Hat Entrapment Completed! 436. The Showdown Has Come! 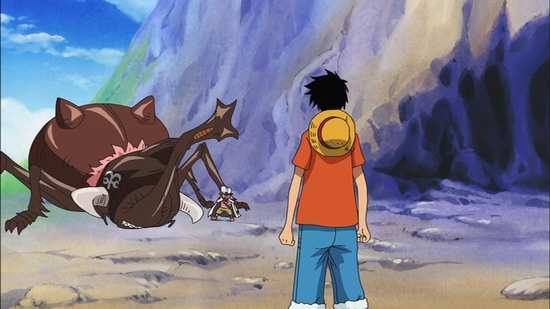 Luffy’s Desperate Last Attack! 441. Luffy Back in Action! Iva Begins the Breakout Plan!! 442. Ace’s Convoy Begins – Battle on the Lowest Floor, Level 6! Disc 1 autoplays with a trailer for Noein. The sole extra is the audio commentary on episode 425 with Jeremy Inman (Magellan), and Brad Jackson (Hannyabal). Disc 2 autoplays with a trailer for Riddle Story of Devil. Chopper Plays Doctor equates to voice actor Brina Palencia playing Operation for 7:35. You get two textless openings, and Funimation trailers for Buddy Complex, Fafner, Noragami, Dragon Ball Z – Resurrection F, Full Metal Alchemist, Fairy Tail, and Eureka Seven AO. 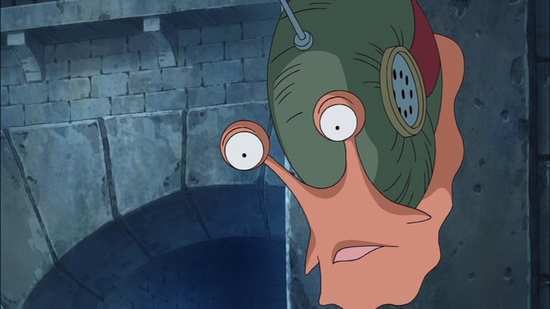 Disc 3 autoplays with a trailer for Noein, and there is an audio commentary on episode 434 with ADR Director Mike McFarland, Barry Yandell (Bon Clay), Colleen Clinkenbeard (Luffy) and Duncan Brannan (Mr. 3). Cooking with Sanji joins his voice actor Eric Vale in the kitchen for 21:58. Finally on this disc, you get the textless opening, and trailers for Dragon Ball Z: Resurrection F, A Certain Scientific Railgun S, Terror in Resonance, Kingdom, Riddle Story of Devil, Fairy Tail, Buddy Complex and Free: Eternal Summer. Last month I welcomed back One Piece when Collection 17 showed up for review, commenting that it was a rare Shonen Jump anime that by and large maintained consistency thus far across its 400-odd episodes. Most other such anime, Bleach, Naruto, or Fairy Tail lapse into long stretches of filler long before that point, or worse, the original manga goes off on some cockamamie narrative diversion. For One Piece to have avoided all that was no mean feat, the Foxy Pirates notwithstanding. 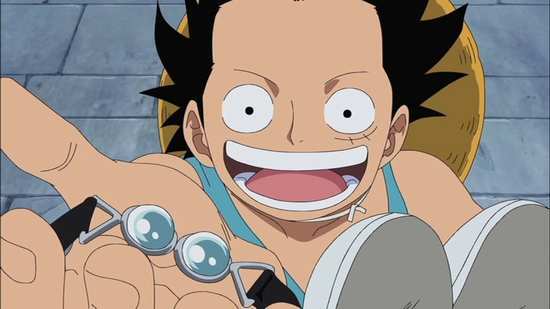 But now we come to Collection 18 of One Piece, taking us from episode 422 to 445, and it’s here that the show starts to wobble, you can sense an impending malaise, and it’s just not as fun as it used to be. The reason is obvious. 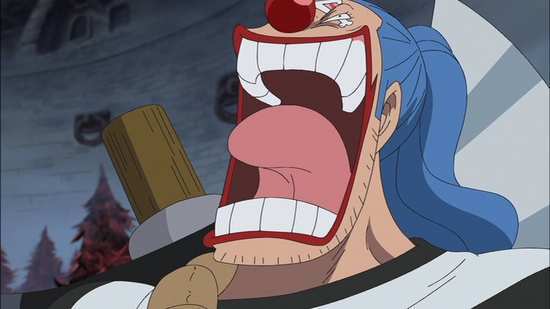 In Collection 17, the Sabaody Arc concluded with Bartholomew Kuma splitting up the Straw Hats and sending them flying to the four winds. 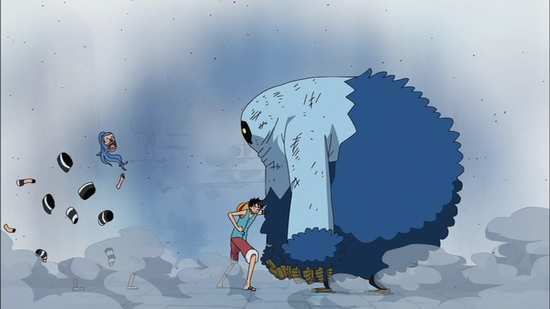 We got to see Luffy’s adventures on the island of Amazon Lily, where he encountered Boa Hancock, and as this collection begins, he’s learnt of Ace’s captivity and impending execution, and with Boa’s help he’s on his way to the prison Impel Down to rescue his brother. The last collection also gave us a handful of episodes to show where the rest of Luffy’s crew wound up, but that was it. 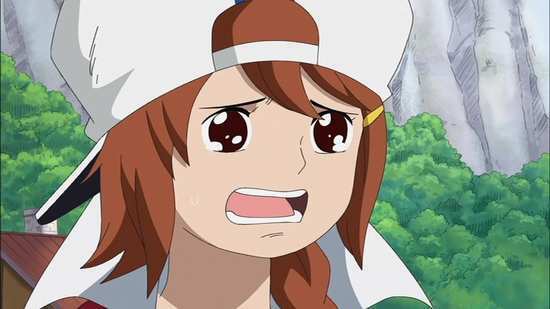 That is the last we’re going to see of Nami, Sanji, Zoro, Chopper, Robin, Franky, Usopp, and Brook for a good while. Collection 18 is all Luffy. Actually, I tell a lie, as there is a four episode stretch of filler to traverse, the movie tie-in episodes. It’s a prequel to the Strong World feature film, and it dramatically proves that One Piece is a lot more fun when Luffy’s crew are together, and can bounce off each other comedically. Luffy’s bone-headed idiocy is a lot less fun when there aren’t any of his crew around to fall over in shock. Not that there aren’t any familiar faces as Luffy makes his attempt to free Ace. He is after all breaking into the most notorious prison on the Grand Line, where all the pirates caught by the Navy wind up. He has to make his way down several levels to get to where his brother is held, several levels of Hell which are guarded by all manner of wacky, fruit-powered guards, and on his way, he encounters some old enemies and old friends from early on his adventures. 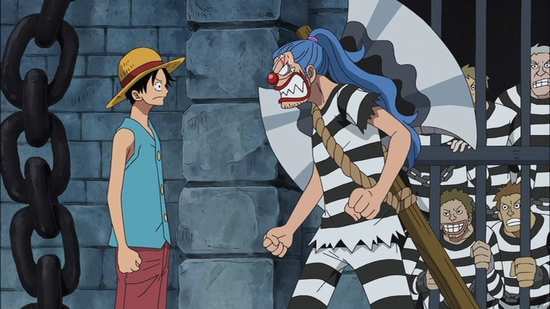 Buggy the Clown is an inmate on the higher levels, and as he works his way down, he encounters several of the Baroque Works pirates who he fought against in the Alabasta arc, as well as Bon Clay, who he befriended. That might be another sticking point for some. Bon Clay is the cross-dressing, shape-shifting ballerina, the overly effeminate gay anime stereotype. Only in this collection, Luffy encounters a whole subculture of transsexuals hidden away in the lower levels of the prison, led by an escapee from the Rocky Horror Picture show named Ivankov, all heels, fishnets, and a massive chin, with his Death Wink ability. He ate the Horm-Horm fruit, and can secrete and inject hormones which among other things can change his victim’s gender. 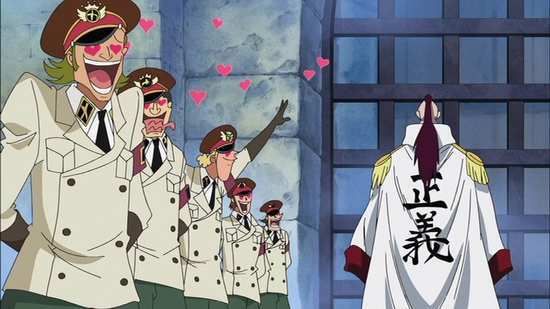 He’s created a transvestite kingdom in the prison, and he comes to Luffy’s aid at one point. One thing anime lacks subtlety in, is in its portrayal of LGBT characters, most apt to descend into parody, and this collection of episodes goes overboard with it. In terms of story, I also sense that One Piece is stretching a point. Certainly there is a lot of action, plenty of characters to encounter, and a lot happening in this collection of episodes. But when you boil it down, it comes to Luffy infiltrating Impel Down, working his way down the levels to where Ace is being held, and then working his way back to the top level again. 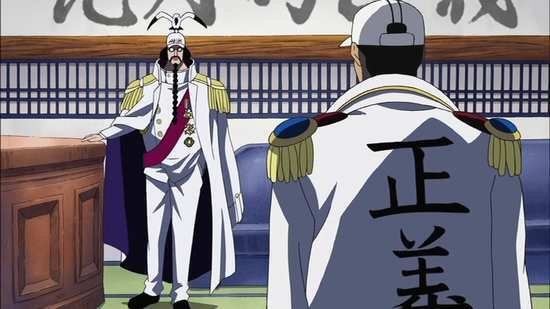 He still on his way when this collection ends, and we’ll have to wait for Collection 19 to hopefully see his emergence from Impel Down. One Piece is still fun, it entertains, and it’s still unique in its over-the-top wackiness, but you don’t realise how much the story needs the ensemble cast until the ensemble cast is gone. Looking ahead, it’s going to be a fair few episodes before the team re-unites. We might end up hoping for filler episodes like that mini-movie arc to give us a little ensemble action. The quality of Manga’s release is consistent with the rest of the series, and despite the minor dip, One Piece is still my favourite Jump show.